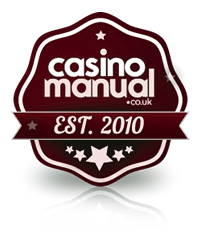 CasinoManual.co.uk has been in operation since 2009 and is based in the United Kingdom. The website launched in early 2011 and is dedicated to offering all the information you need in order to play the best casino games on the best online casinos. The reviews of the online casinos are completely independent and a true reflection of what you will come across. All the online casinos on CasinoManual.co.uk are looked at objectively as you will see positive aspects as well as the negatives so you get the full picture. Lying to you would be pointless as you will only find out the hard way later down the line – then the credibility of this website would be in jeopardy. CasinoManual.co.uk is run mainly by 1 person, Will Jamieson (that is me!). I am originally a designer and have worked for a few online gaming companies over the years. More recently, I have freelanced for various gaming companies and decided it was time I put my knowledge and experience onto a website. I love playing slots online and am a sucker for a decent deposit bonus or promotion. I’ve seen it all really – from good bonuses to ones that are misleading into making you think you are getting a good deal. This is why I always refer to the eligible casino games you can play for promotions as well as the wagering requirements in order to cashout the bonus. Wagering a bonus 30 times is not as easy as it seems but at least I know where I stand before I starting playing. I’ve been in the online gaming industry for over 10 years now and my passion is to share the knowledge I’ve experienced from all aspects of the industry. There are also contributors who help me with my slot reviews and daily news too. I will eventually add their names and details on this page (when I have time!). There is quite a lot of information on CasinoManual.co.uk and more is added constantly – if you are new to online casinos, check out the Beginners Guide which gives you an insight into what you should look for as a new player. Once you have done that and understand the basics, feel free to browse the other sections of the website. If you love your slot games, check out the Play Slots section which has reviews of many top slot games from the main software providers. You can also play the games for free too which will give you a good insight into whether you like the game or not. Lastly, you will find the recommend casinos I play at. Another area which is very popular is the News section – this is updated daily and brings you the latest news and developments from the online casinos represented on CasinoManual.co.uk. This includes promotions, new game releases and general information from the online casino world. If you have any questions whatsoever or want us to look into anything regarding online casinos, we’d be happy to help. Please visit the Contact Us page to get in touch right away.